Over the Summer I've found lots of great products perfect for the hot weather (cough) and I thought I'd share them all with you guys. I've done a fair few mini reviews down below so as not to clog the post up too much I just briefly mentioned most products. Radox Hand Gel - £1.35, Transformulas Teeth Whitening Pen - £29.99, Environ Mositurising Toner, Sun Shots - £9.95 Ciate Cuticle Oil £10, Acqua D'alfresco Anti-Bug Bite Fragrance - £30 (pack of 4), Muard Pomegranate Lip Protector - £12.00, Optrex Eyedew Dazzling Eye Drops - £4.49, Thalgo Energizing Cream - £33.20, Avene Eau Thermale Protection Spray - £15.98, Liz Earle Foot Spritzer - £7.50. 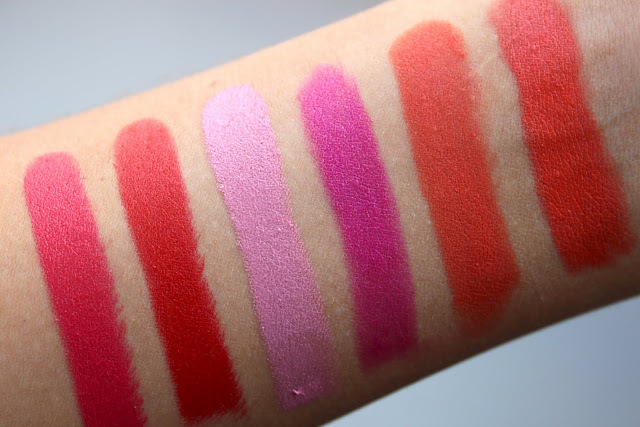 Summer isn't the same without a bright lipstick or two and over the years I've found a load of favourites that I even wear to the beach on holiday. Nars multiples are a must have for Summer in my opinion, the give your cheeks a lovely glow that goes perfect with a tan. Given they are a tad pricey but on average a stick will last you about 5 years so definitely a great investment. If you aren't a fan of cream blush products then the Rituals Sunglow compacts are a perfect alternative for a hint of shimmer, and the bronze colour will take you through to Autumn with the warm shades of coral. Tinted moisturisers are also a must as no one wants to be faffing around with foundation in hot weather. 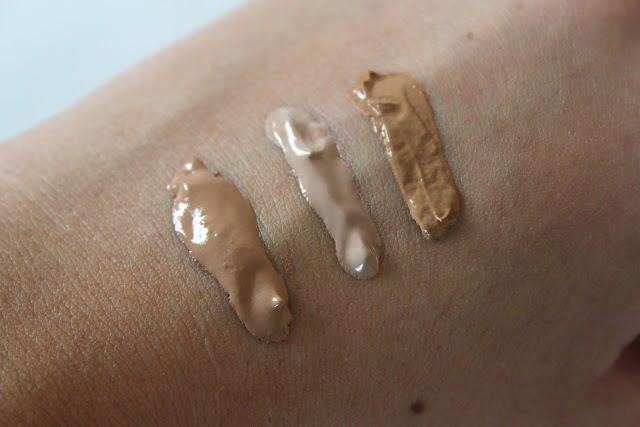 If you are after great coverage then the Laura Mercier tinted moisturizer is perfect for that but to give your skin a quick glow then Ahava light foundation or Witch anti-blemish tinted moisturiser are also great options. I've also been loving the new Nars Illumintaors for the past few months patted onto my cheeks in the daytime. Click here for an in depth review. A good moisturiser is another essential in the Summer months as the sunshine can really dry out your skin but equally you don't want anything too heavy on making it feel greasy. On my holiday in Greece I used the Thalgo Energizing Cream every day and swear by it. The cream is lightweight and sinks straight into the skin and has a lovely refreshing scent. Up to +52% hydration one hour after application, sounds good to me! Obviously you can't go on holiday without sun cream and I personally never go lower than a factor 20 to protect my skin properly. 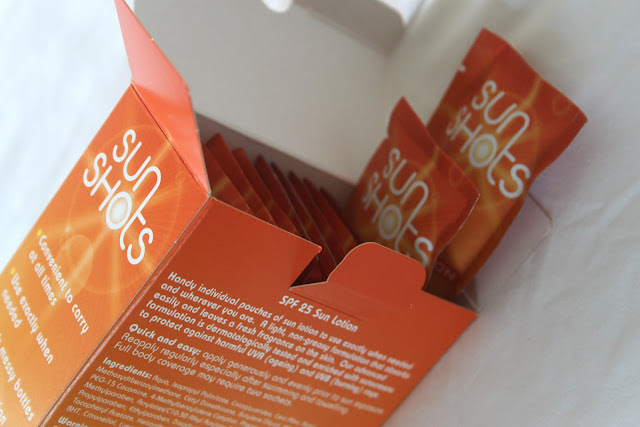 Sun shots are a great idea if you are going away on any trips while abroad or to pop in your handbag on a hot day in England, a lot easier than carrying a big bottle around with you. Hair wise I always find my hair goes frizzy and can be such a pain to maintain in the hot months, Fekkai Silky Straight Serum is absolutely amazing for that problem and doesn't feel like the usual sticky serums as it's high quality it sinks straight into my hair. The Beach Waves spray also by Fekkai creates beautiful beachy waves, but unfortunately they both come with a hefty price tag. At the other end of the price scale there is Batiste Dry Shampoo which I'm sure you've all tried and know about but I found it great after a day at the beach to refresh my hair. While keeping my suitcase weight in mind I decided to take the Orly mini polishes with me as the size makes them ideal for travelling. 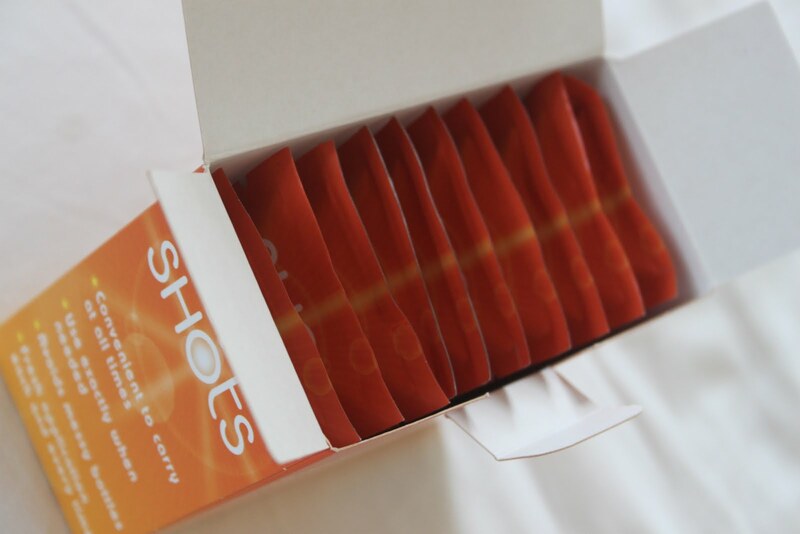 They launched in larger Boots stores not long ago now and come in loads of different shades including bright Summer colours. And finally after that essay of a blog post last but not least is Strobe Cream by Mac. If I could recommend that you get one thing for beautiful glowing skin then it would definitely be this product. You can either mix it with foundation to create a tinted moisturiser or just apply it straight to your cheek bones. The forumla also comes in a liquid version if you like to steer away from cream products. hey, we share a couple of favourites: the Nars laguna illuminator for sure and the Fekkai beach waves. I've tried the Philip Kingsley Maui beach stuff as well and it was not as good as Fekkai-> hardly any hold. Hey, I am in desperate need. Please tell me where I can get Nars Tuomota, I can't find it anywhere!! I know this is an old post but maybe they have it somewhere.